You do not have to post review on blog during the month of May. 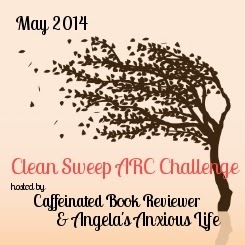 Just provide a link to Goodreads showing read May 1 to 31st with a two sentence review. The Participant Giveaway will include entries for each linked book read, posting about challenge, start up/results post (can be combined), having button on your sidebar, participation in Twitter party, entering challenges and for following hosts. Grand Prize- One winner will receive a new release of their choice (can be audible credit, novel or gift card) valued at up to 20.00 US dollars. Open internationally. Sounds like fun right? So come on grab the button, link up and get ready to make a clean sweep. Angie and I will be here to cheer you on and motivate you! I'm signing up for this, I'm hoping to complete at least 25 books. I have so many books I need to clean off of my TBR list, Sweet Goddess am I behind and so many good books come out this month!! So here's my list of books to clean up this month. 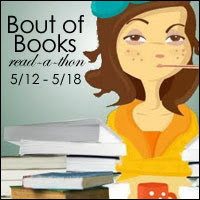 I'm also signing up for the Bout of Books 10.0 which starts on May 12th. I will be doing most of my updates via the YT channel. (my channel). I'm not sure what I'll want to read, I'll definitely try to finish these though because they need to go back to the library. Or I might just grab anything that catches my eye. But I really want these off my TBR Pile!! What are you going to be reading this month?!! Share down below and I'll come cheer you on!! Happy Reading and good luck! !